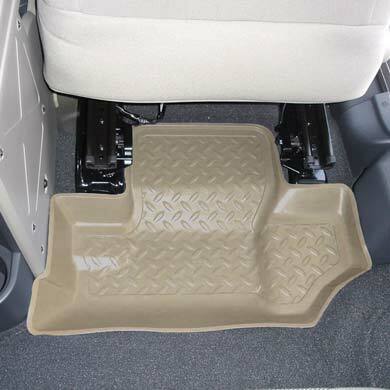 Husky Floor Liners provide complete front to back protection for your carpet. The unique "Sta-Put" nibs on the reverse side keep the mats from sliding out of the way. Put your regular floor mats away and get a complete set of Husky Floor Liners to keep your carpet showroom new. Available in Black. Fits 2 door JK only.